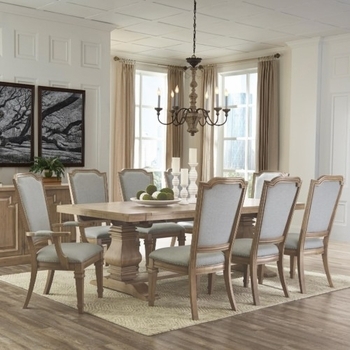 The Florence dining table is crafted of solid pine and mahogany wood. 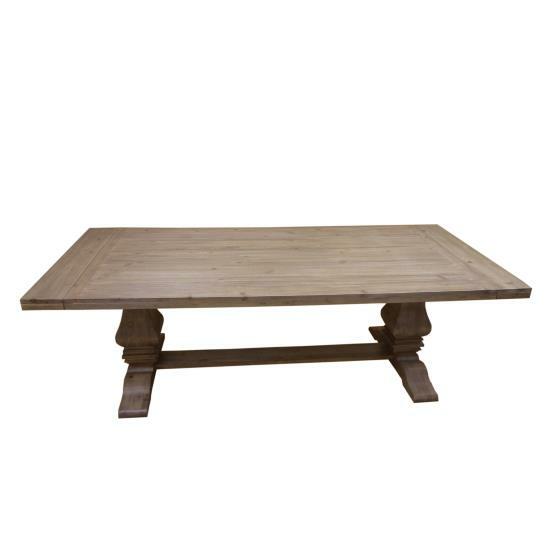 Planks are individually rough sawn with old fashion finger joint construction. Traditional European style draw-leaf extension at each end of the table top and architectural shaped double pedestals offer a modern yet classical style.